Stone and glass mosaics of black and iridescent shades. The Avatar mosaic tile makes for an excellent choice for your home. 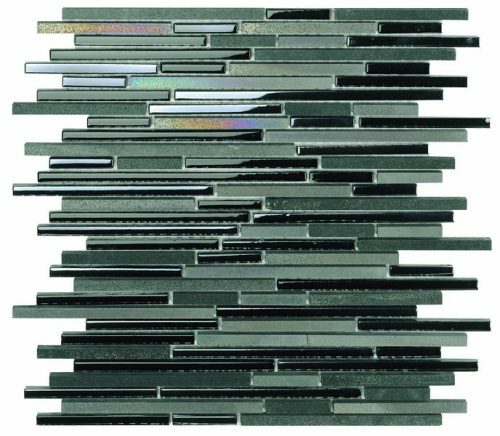 This elegant mosaic consists of a random mix of stone and glass in various black and iridescent shades. It is ideal for use as a feature mosaic in kitchens and indoor spaces in combination with other wall tiles or by its own. It is available in a standard size of 30×30.5cm and is sold per piece. 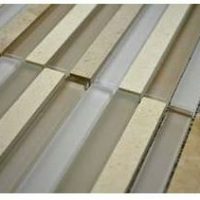 The Avatar mosaic tile is highly refined and incredibly attractive. 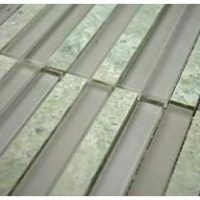 The random mix of stone and glass elements make this a highly attractive tile, which also complements a range of other colours. And, thanks to special manufacturing, it can be installed with minimum grouting to offer a plush and modern finish. The Avatar mosaic offers great value for money. Despite being affordably priced, it is manufactured to the highest of quality. It requires little to no maintenance and will still look good as new after years of installation. For uniquely elegant mosaic tiles in Perth, look no further than the Avatar mosaic tile. 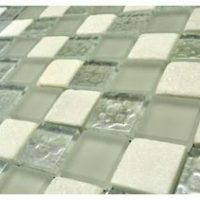 Buy this refined mosaic tile at the lowest price from our online store today to avail our 14-day money back guarantee!